Nodens Solutions received Promising SME 500 2015 award. 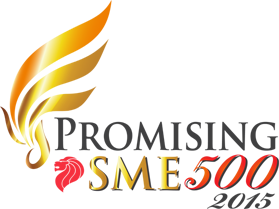 The Promising SME 500 Award was initiated by the Small Medium Business Association of Singapore (SMBA), to hall-mark the Top 500 Promising home-grown SMEs in Singapore and serve as a national platform in recognition of each company's achievements and to substantially boost its corporate brand presence. All Awardees have been carefully selected from a pool of nominations. To maintain the integrity of the selection process, SMBA's board works closely with an independent Advisory Judging Panel made up of top executives from various industries and disciplines.